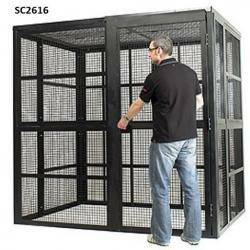 Our compact steel security cages give high impact resistance against the most determined vandal attack. The steel expanded metal mesh gives full visibility while offering a difficult obstacle to attack by all tools. 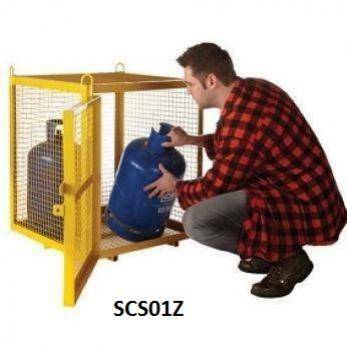 This popular series of fully welded storage cages can be used for storage of all manner of high value stock giving you peace of mind while not stretching your budget. The cages are 800mm high and can be finished in a range of powder coat colours or galvanised for external usage. All our double or single doors are fitted with a hasp and staple that is compatible with all security padlocks. Steel shelves are supplied as standard to maximise the use of the internal storage space. Castors can be added as an optional extra to make the cages mobile for your convenience or you may wish to add a warning signs for the health and security of the users.